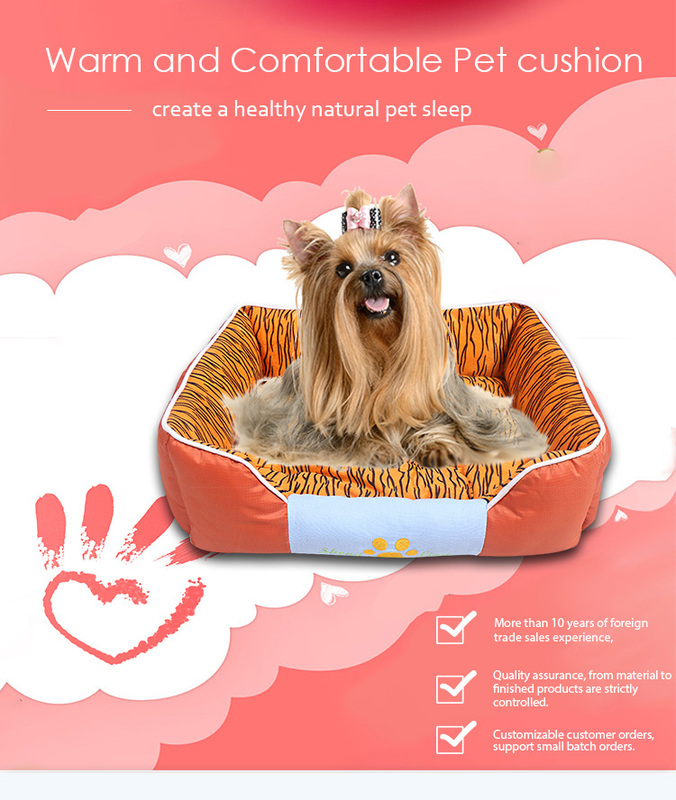 Four seasons universal, soft and warm, high quality materials, strong and durable, not pilling. Oxford bottom: high toughness Oxford cloth, scratch resistant, waterproof, easy to clean. 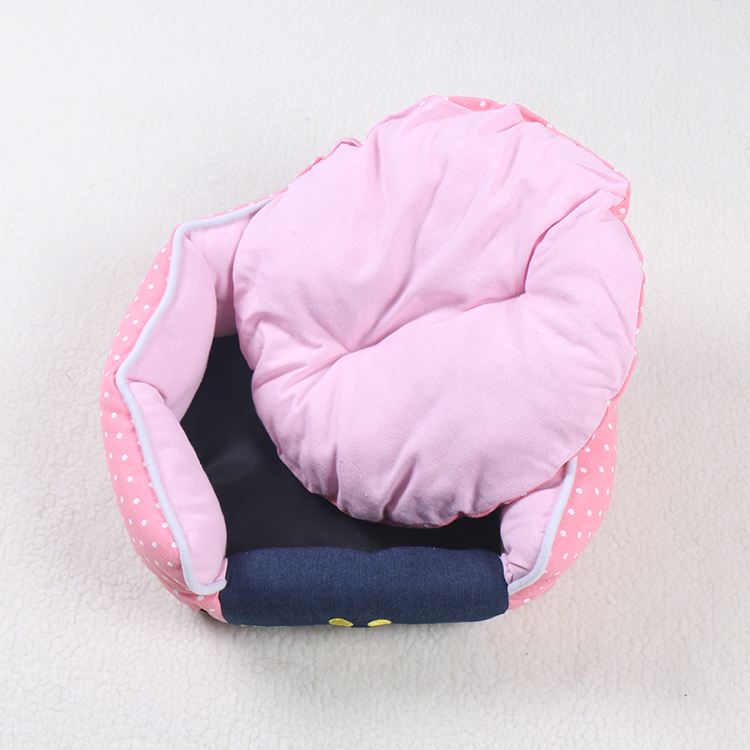 Three-dimensional PP cotton filling: use high-grade PP cotton, soft and comfortable, thick and warm, good resilience. More than 10 years of foreign trade sales experince. 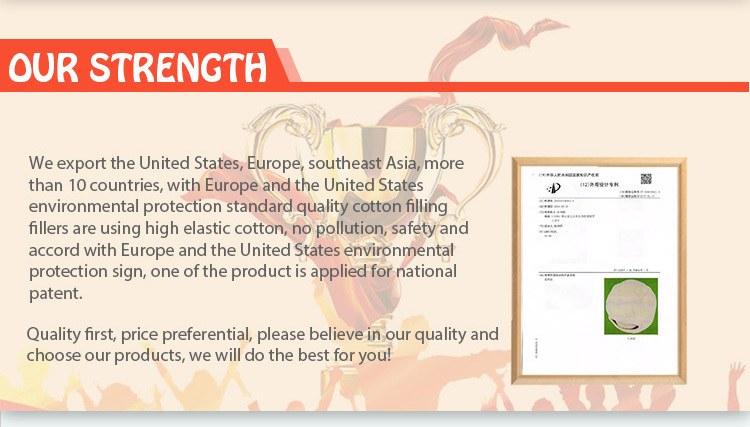 Quality assurance,from material to finished products are strictly controlled. Customizable customer orders,support small batch orders. 1. You are factory or company? 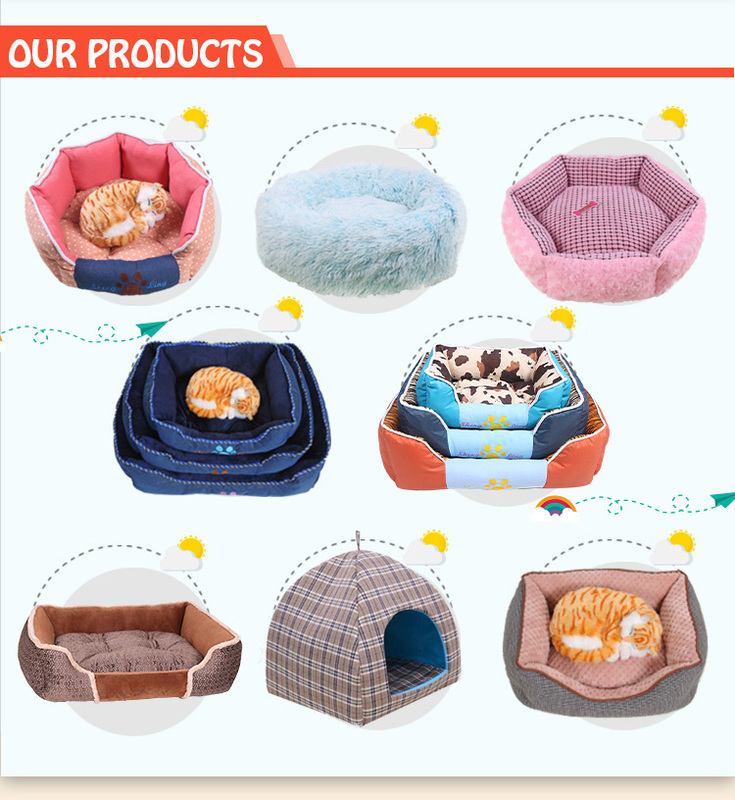 Our company is import & export company,we have good cooperation factory to produce pet cushion and pet toy,pet clothes,we have more than 10 years export experience. 2. Do you accept OEM and ODM? Yes, please send the details of the products as you request,size,material,design,logo all details,will depend on your request. 3. 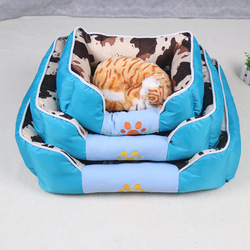 How to control the products quality? 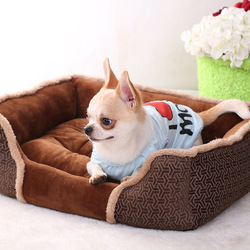 We have more than 10 years of export experience,from the product input,production,finished products,we have strict inspection standards,to ensure the quality of each batch of export goods,and make the buyer satisfaction and trust. 4. Can you make samples for free? 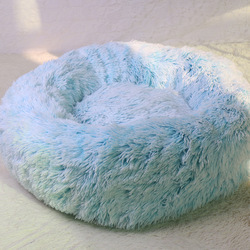 Charges will be returned after placing oder. 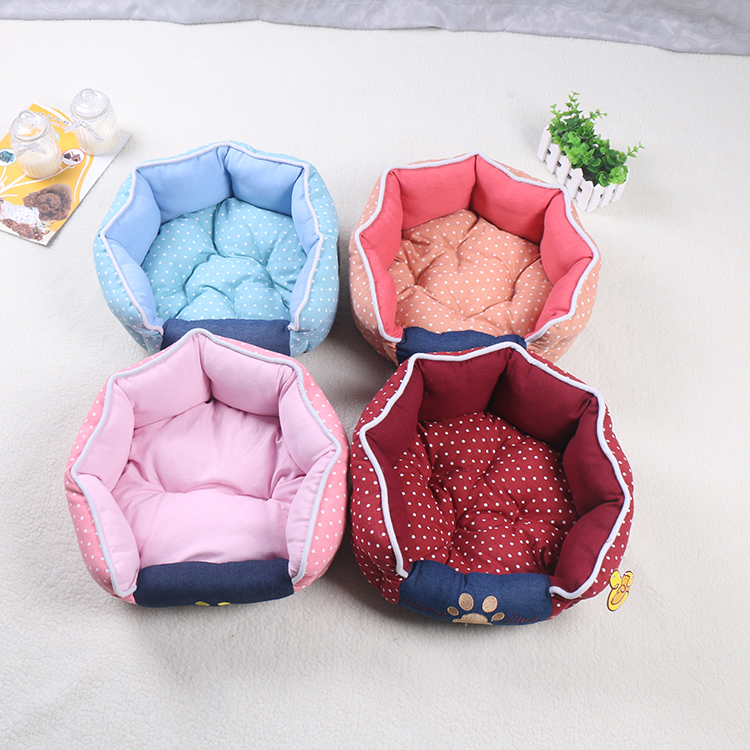 The time of delivery date is 30-45 days depends on order volume . 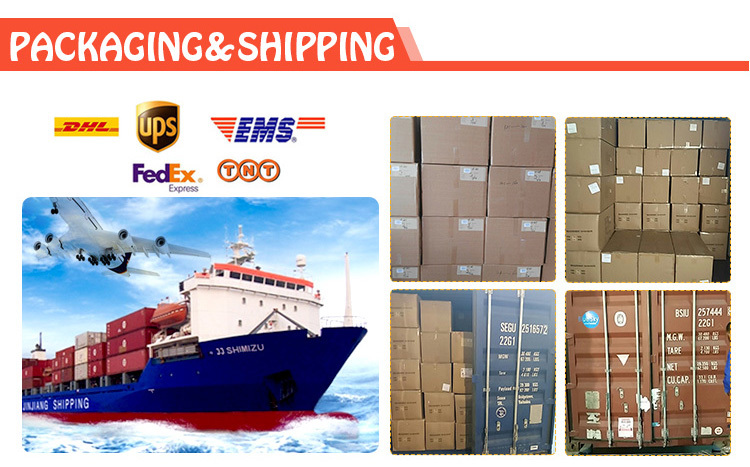 We can ship out by sea & air shipment,if only small quantity, we can send by express such as FEDEX,UPS,DHL etc. 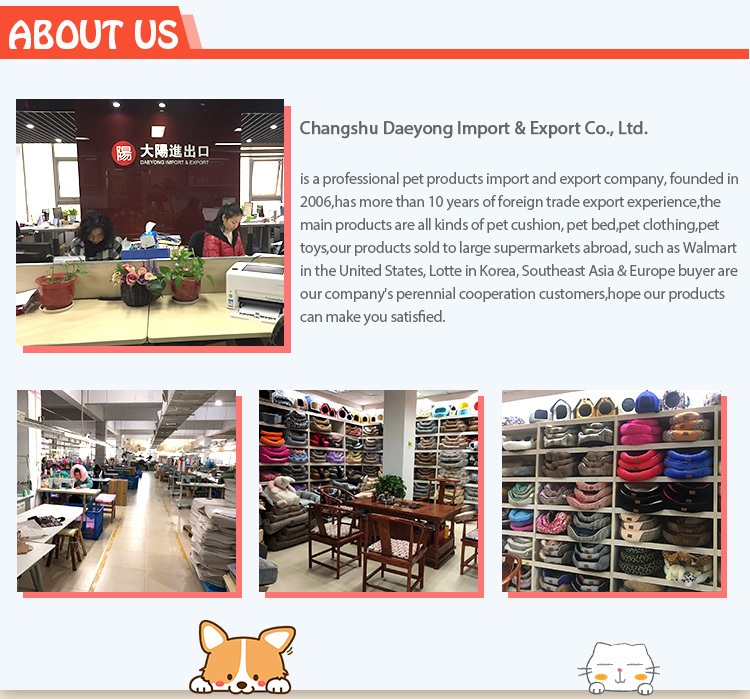 Changshu Daeyong Import & Export Co., Ltd.